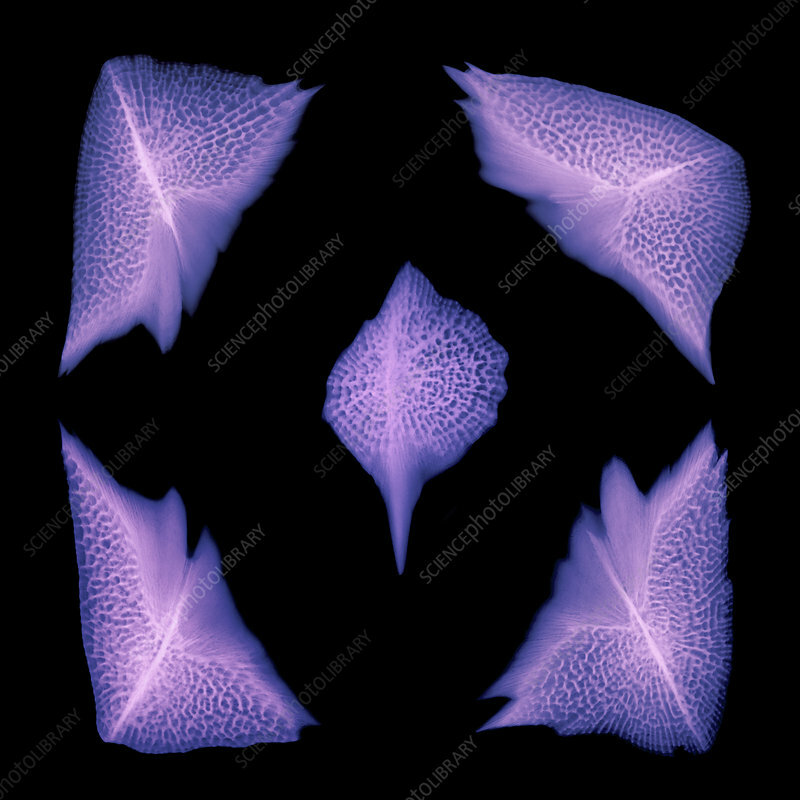 Colour-enhanced X-ray of scales of the critically endangered Atlantic, Common, or Sea Sturgeon (Acipenser sturio). The thick plates of the scales offer the fish protection from predators. These samples are from Quebec, Canada. The average size of a scale here is 5 cm.